are the focus of our care. Dr. Mary Varn and staff offer comprehensive eye care for medical and surgical eye problems in children. We also offer routine eye exams for all pediatric patients – infants, children, and teens. 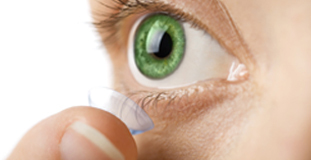 We do soft contact lens fitting with training for spherical and most toric prescriptions for established patients. To be able to concentrate on providing quality pediatric eye care, the practice is limited to new patients under 18 years of age. Some adult patients may be seen on an emergency basis when the practice is on Spartanburg area eye call. We also continue to see a limited number of established adult patients. Our practice rotates general eye call with Piedmont Eye Associates and Palmetto Eye and Laser Center. If you call our office number outside of regular business hours, you will be directed to our answering service, or you can call the answering service directly at 864-577-4516. Please do not call the eye doctor on call for routine medication refills or glasses or contact lens prescriptions. These should be addressed by our office during normal business hours. All new pediatric patients MUST be accompanied by a parent or legal guardian or arrangements must be made prior to the time of the appointment. Legal guardians need to bring a copy of paperwork establishing them as guardians. Please plan on paying your copay and refraction fee (check for glasses need which is done for most new patients) at the time of your child’s visit. Patients may be rescheduled if payments cannot be made at time of service. (not for routine vision exams). We do not accept Absolute Medicaid. We do not participate with most VISION insurance plans, but we will be happy to provide you with receipts for you to file with your plan. Please ask when you schedule your child’s appointment if you have any questions regarding your insurance.